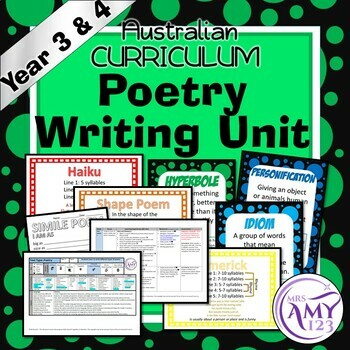 A 10 week unit for teaching poetry writing with separate planners for years 3 and 4 and aligned to the Australian Curriculum. 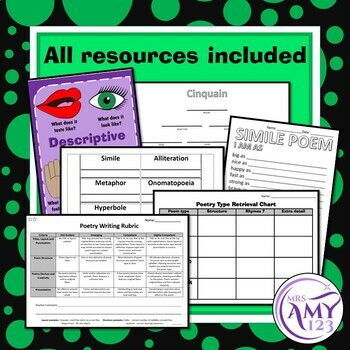 All lesson resources including worksheets, printable activities, assessment rubric and posters have been included. 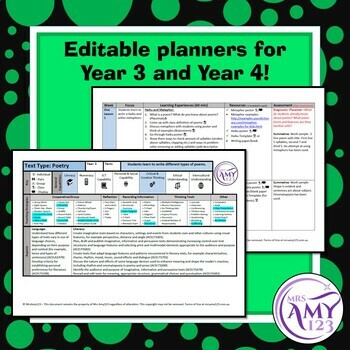 ✩At 5-6 pages the planners features five to six steps for each lesson, keeping it simple and succinct. Teachers need to use their own skill to ensure the lesson remains explicit and teaching opportunities are not missed. 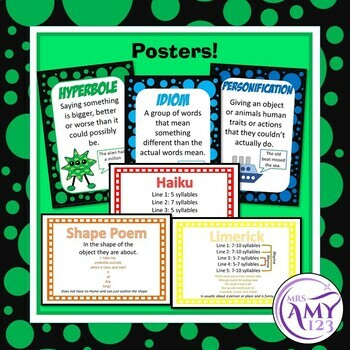 metaphors, onomatopoeia, allusion, hyperboles, alliteration, idioms and personification. ♥After using this product leave a rating and comment to earn TPT credits to use on future purchases. ♥If there are any issues with the product please contact me (via the Ask a Question tab) before leaving feedback. ♥To be notified of new products click the green star next to my store logo.